By Monia Mazigh – Yesterday, Public Safety Minister Ralph Goodale tabled a new legislation that would move forward what the Conservative government along with the US counterpart agreed in 2011 to implement: Beyond the Border, a shared vision for perimeter security and economic competitiveness. This new proposed legislation would grant powers to the Canada Border Services Agency to collect biographic data on Canadian citizens whenever they leave Canada and share them with the US government. The data collection would happen each time someone leaves the Canadian territory. The same data collection has already been implemented at entry points. Now it applies to all entry and exit points. The information sharing of these biographic data with the US has already been taking place but only for foreign nationals and permanent residents. This new legislation extends it to Canadian citizens. As usual when any security legislation is introduced, and to gain the approval and the trust of the public, the emphasis of the government was on the prevention of frauds to employment benefits, the social welfare system and the immigration system. Also, the detection of human trafficking and child abduction was evoked as an example of what this new legislation would do. But how about our right to privacy? Wouldn’t this proposed legislation be another legal tool for more surveillance and thus opening the door to more abuses by government security agencies on both sides of the border? Minister Goodale reaction to these legitimate concerns and fears is that this new data collection and information sharing will be done in accordance to both countries national privacy laws. But why should we trust this promise? Didn’t we just learn about cases of information collection and sharing that transgressed our laws? And Maher Arar’s case is still fresh in our legal history. How about implementing safeguards in information sharing? The Minister didn’t say a word about that. Why should we wait for other abuses of the system to understand that these new powers need to be questioned and not always granted? When Public Safety Minister Ralph Goodale mentions during his announcement that “CBSA would not exchange passenger manifest information collected in the air mode with the U.S.” this is not totally true. Indeed, in the previous years, CBSA has run the National Risk Assessment Centre now called National Targeting Centre (NTC), which receives and analyzes passenger information from airlines to identify individuals who pose security threats. This centre shares Advance Passenger Information (API) including terrorism and serious crime-related lookouts with the U.S. National Targeting Centre. It is disappointing to see how quickly the Minister of Public Safety proposed this new legislation with additional powers to CBSA whereas many civil liberties groups have been asking him persistently for months to bring more accountability to the work of CBSA, without success. 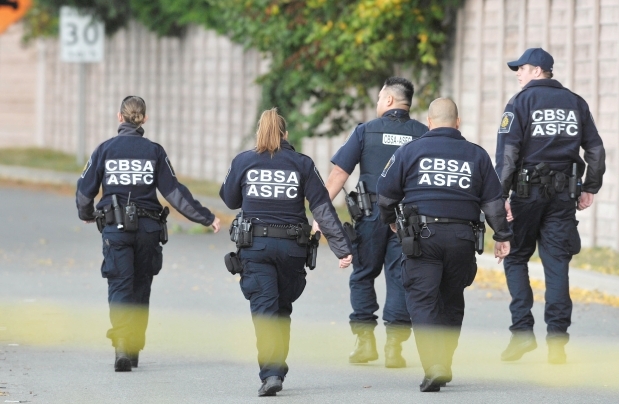 Even with what the government is proposing today in terms of parliamentary oversight, it won’t be enough to address the particular issues relevant to CBSA in terms of refugee and immigrant arrest, detention and search, seizure, data collection, information sharing and national security powers. Rather, an independent review mechanism that would be specific to the work of CBSA, that would assess and review its operations before, during and after, that would review any proposed legislation and that can independently launch investigations about complaints or allegations of abuse, is really needed and yet still inexistent. This entry was posted in News from ICLMG on 16 June 2016 by ICLMG CSILC.